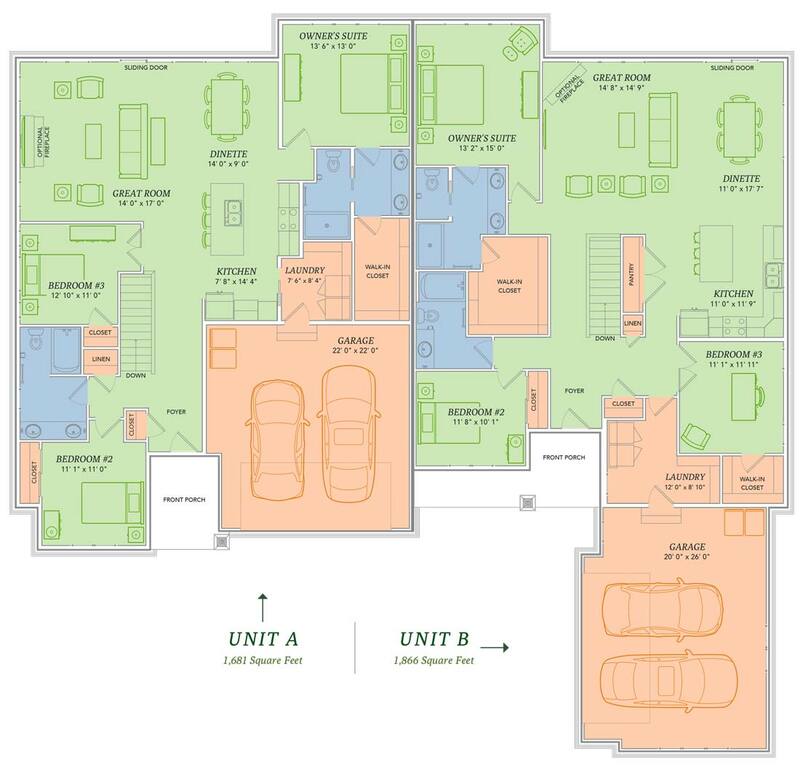 The Foster Twin Home offers up two unique layouts, both open concept with single floor living. This ranch plan begs to be filled with conversation and laughter. Its kitchen island is perfectly sized for your fabulous charcuterie board. The bedrooms crave freshly pressed linens, and the great room, well it’s called ‘great’ for good reason. So grab a slice of cheese and take it all in. Welcome to the Foster. Choose everything from siding & shutter colors to roofing materials with our exclusive exterior visualizer.